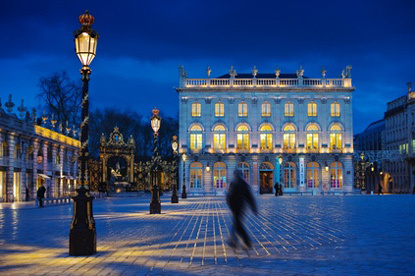 Ducal Palace, Stanislas Square, Nancy. Long contested between France and Germany, Lorraine developed a hybrid culture of its own that gave us quiche lorraine, Mirabelle plum, rum baba, and madeleines cakes. French is now spoken by everybody in Lorraine, but the region is bilingual in its traditional dialects. Lorraine Franconian, a dialect of Middle German, is spoken around Metz and Thionville, as well as in the German Palatinate. Lorrain, a dialect of French, was the traditional Romance language, although its usage is very limited nowadays. Vittel, one of the world's best known bottled water, comes from the Vosges mountains of Lorraine. Other notable local companies include the crystal manufacturer Baccarat, the Clairefontaine Paper Mills, and the ceramics manufacturer Villeroy & Boch (which was founded in Audun-le-Tiche in 1748, but moved to Mettlach, just across the German border, in 1801). Famous people from Lorraine include (chronologically): Joan of Arc, Francis I, Holy Roman Emperor & Duke of Lorraine (ancestor of all the Habsburgs since then), the poet Paul Verlaine, the mathematician Henri Poincaré, the father of sociology Émile Durkheim, and Presidents Raymond Poincaré and Albert Lebrun. 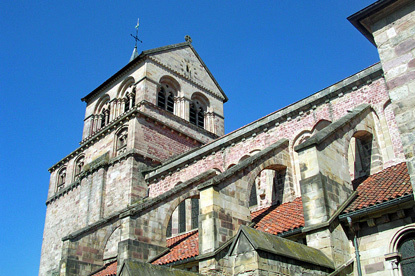 The area around Metz was settled by the Franks several decades before Clovis conquered northern France. In 843, the Treaty of Verdun split Charlemagne's Empire between his three grandsons. The eldest, Lothair, inherited the central part of the empire, from the Netherlands to Tuscany, and named it Lotharingia. The Kingdom of Lotharingia was further divided between his three sons, and Lothair II inherited a much reduced Lotharingia. In 959, in-fighting between brothers and cousins led to the split of Lotharingia into the Duchy of Upper Lotharingia (or Upper Lorraine), which became the French region of Lorraine and the German Palatinate, and the Duchy of Lower Lotharingia (a.k.a. Lower Lorraine or Lothier), which became the Low Countries (modern Benelux + Nord-Pas-de-Calais). Most of Lorraine remained politically and culturally German thoughout the Middle Ages. 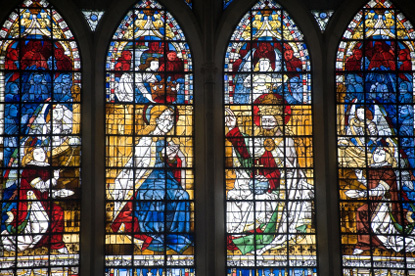 It is only in 1552 that the three bishoprics of Metz, Toul and Verdun come under French rule, although this was not officialised until the Peace of Westphalia in 1648. The Nancy-based Duchy or Lorraine would be annexed by Richelieu in 1641. In 1737, the War of the Polish Succession ends with an agreement between France, the House of Habsburg and the Lorraine House of Vaudémont: The Duchy is to be given to Stanislaw Leszczynski, the former king of Poland and father-in-law to King Louis XV of France. Upon Stanislaw's death in 1766, The Duchy of Lorraine and Bar is officially incorporated to France. The German got back Alsace and Lorraine in 1871 after winning the Franco-Prussian war and would keep them until the end of WWI. One of the First World War's bloodiest battles was the Battle of Verdun, which lasted for 10 months and concluded with a tragic death toll of 362,000 French and 336,000 German soldiers, making it one of the longest, most murderous and most traumatic battles in the history of warfare. The capital of the Lorraine region has a rich medieval past still apparent in its fortifications and its lavish cathedral. Bar-le-Duc is a pretty town on the Ornain River, with some Renaissance edifices. It was the seat of a medieval county, then duchy. 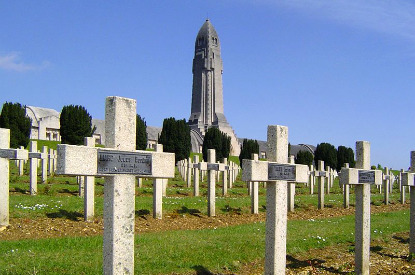 Verdun's name resonates as the site of one of history's worst bloodbath. A millennium earlier, Charlemagne's grandsons dismantled his empire and founded the states of France and Germany. 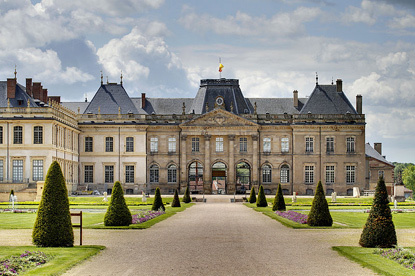 Commercy is a classical palace commissioned in 1708 by Charles Henri de Lorraine, Prince of Vaudémont. 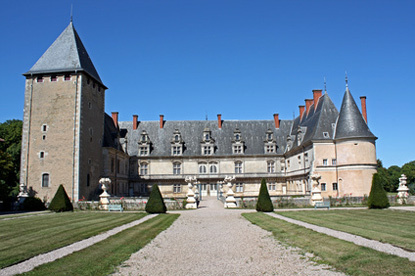 It was designed by Germain Boffrand, the architect of the châteaux of Lunéville and Haroué. The pleasant town of Epinal makes a good base to explore the Vosges mountains. 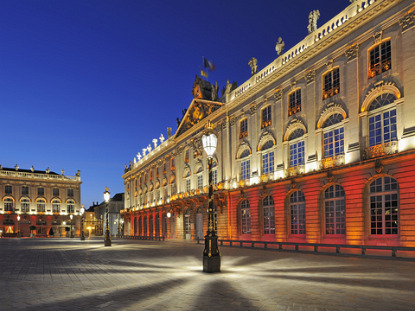 Historical seat of the Duchy of Lorraine, Nancy is a gem of classical architecture. 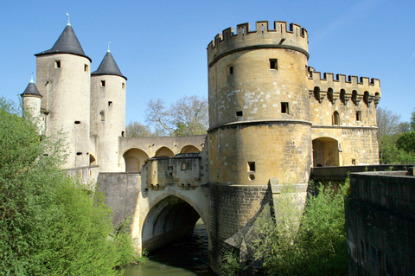 Fléville is a splendid French Renaissance castle completed in 1533 , and built over a moated medieval castle, of which the 14th-century keep is still standing. The 20 ha garden is a hybrid of French classicism and romanticism. 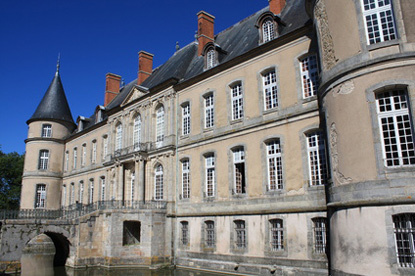 Also known as Château de Craon, the magnificent Château de Haroué was built between 1720 and 1732 by Germain Boffrand for Marc de Beauvau, prince de Craon, viceroy of Tuscany and constable of Lorraine. 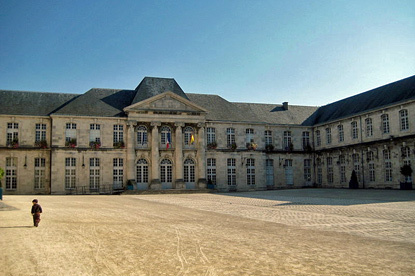 Lunéville was the preferred residence of the Dukes of Lorraine in the 17th and 18th centuries, the Versailles of Lorraine. 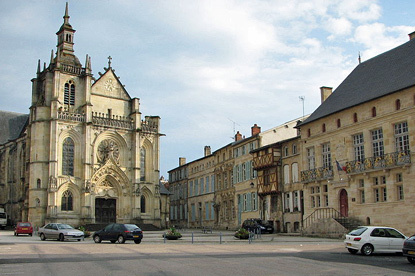 Toul was the seat of one of France's oldest bishopric, and is rightly renowned for its graceful Gothic cathedral.